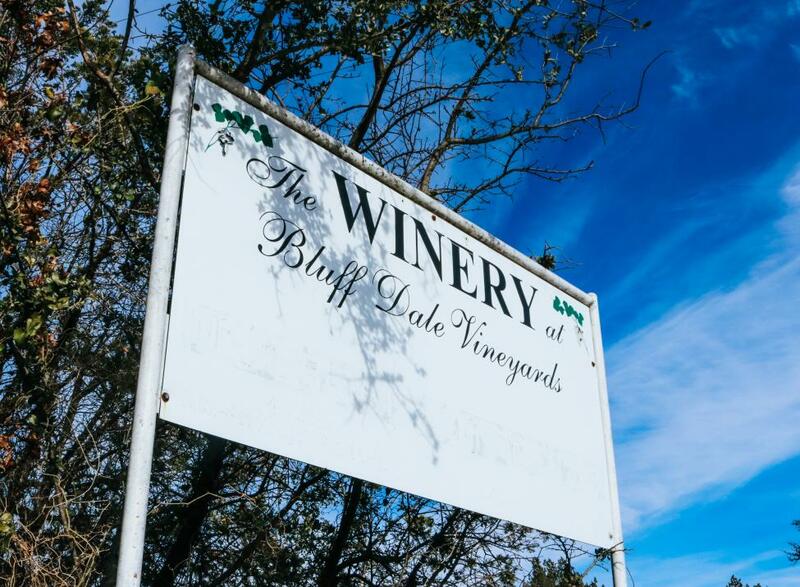 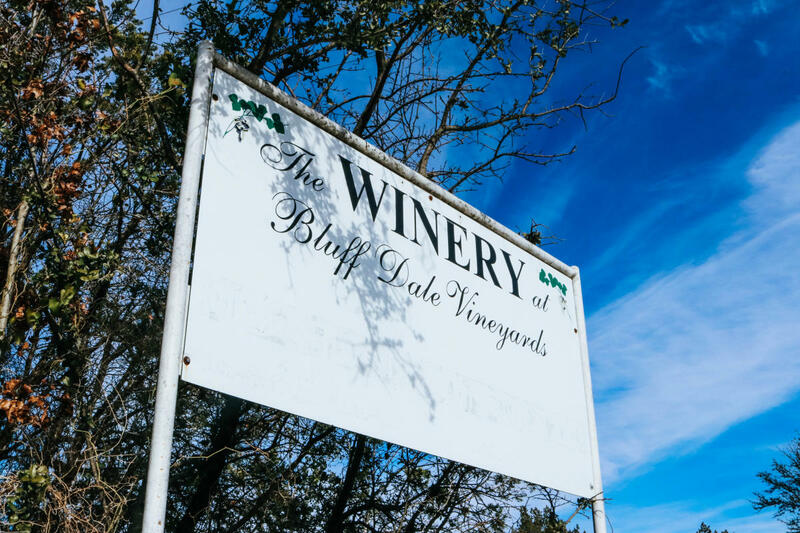 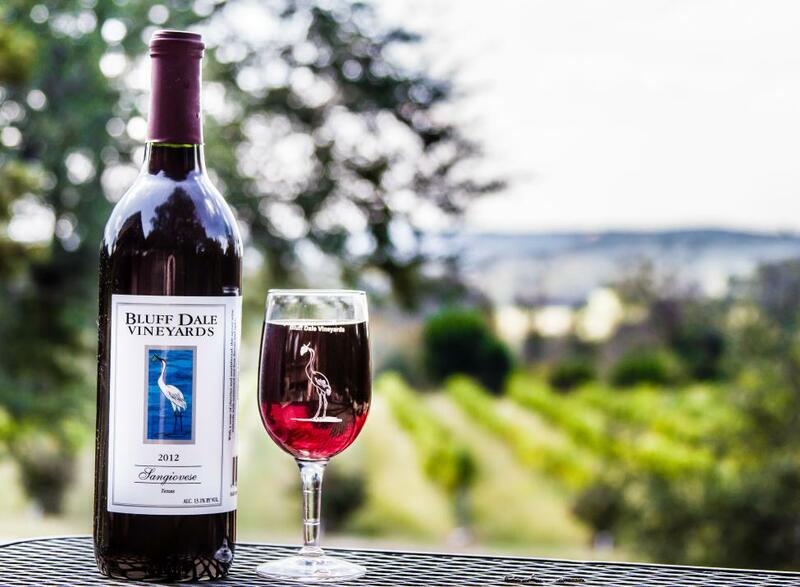 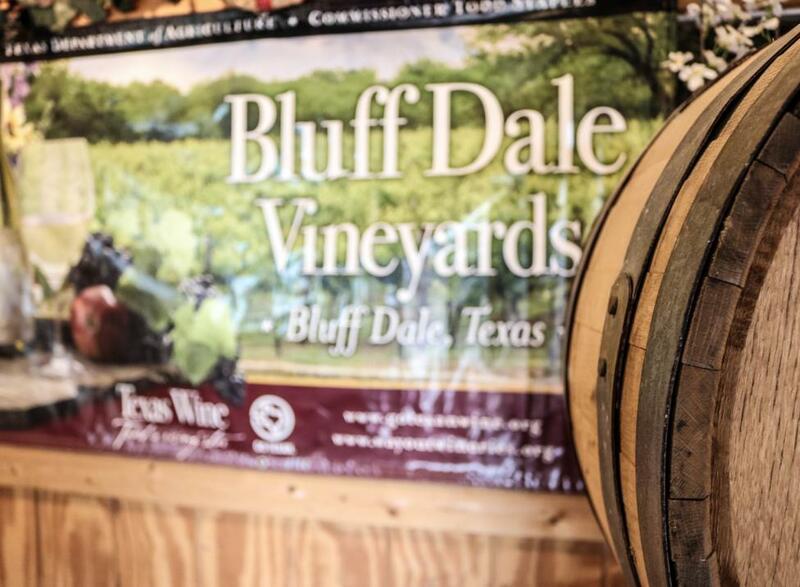 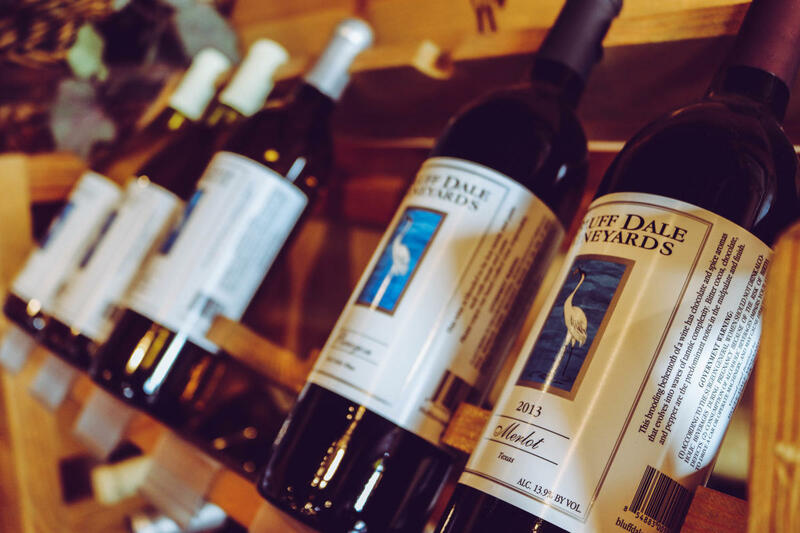 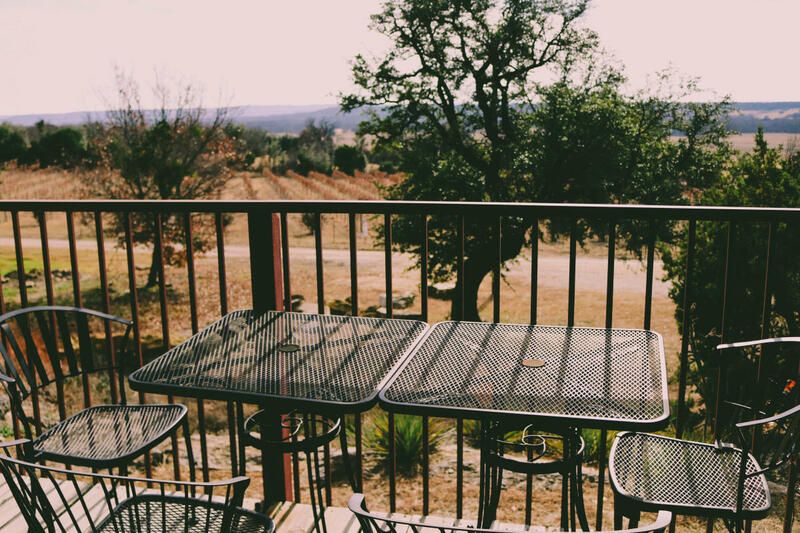 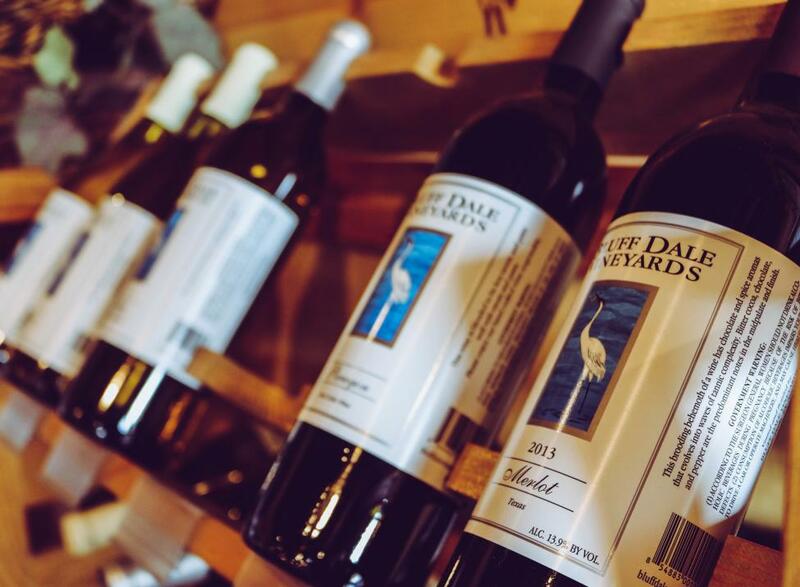 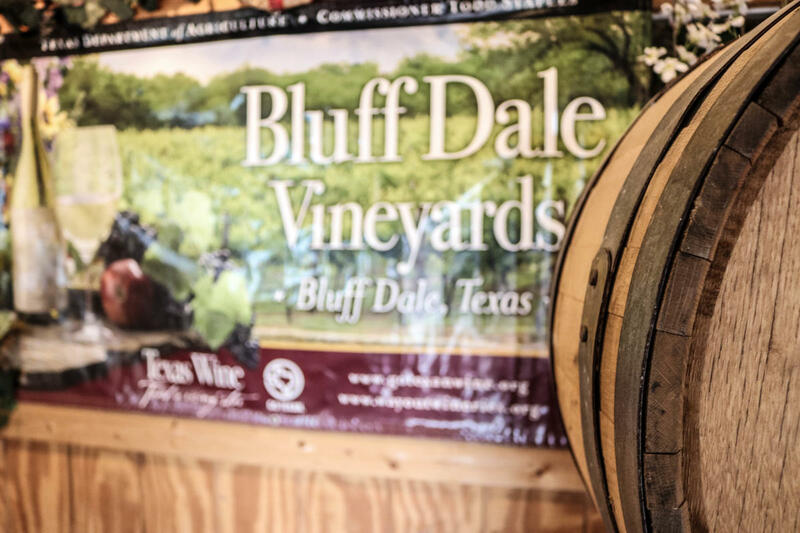 Beautiful Bluff Dale Vineyards offers wine tastings, wine by the glass or the bottle. 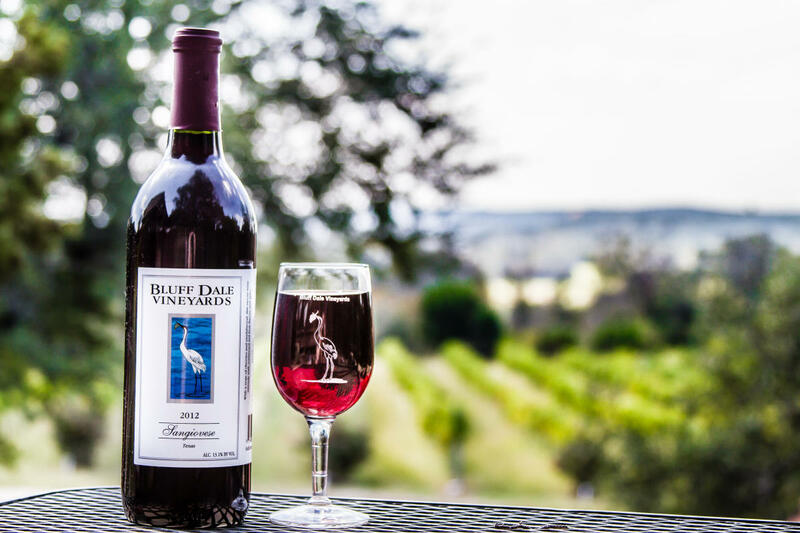 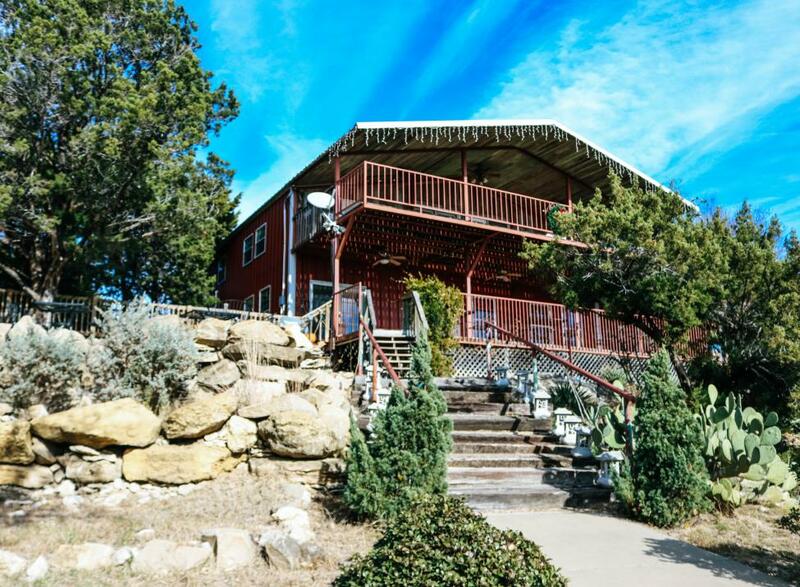 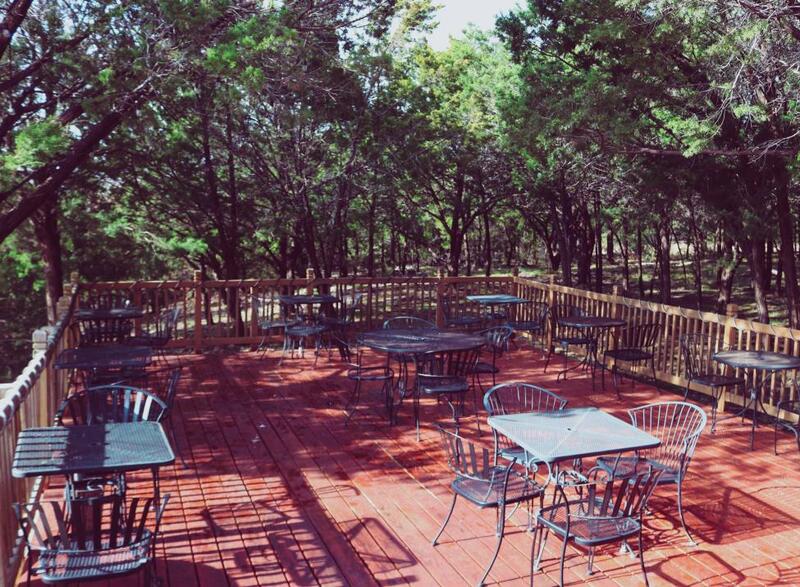 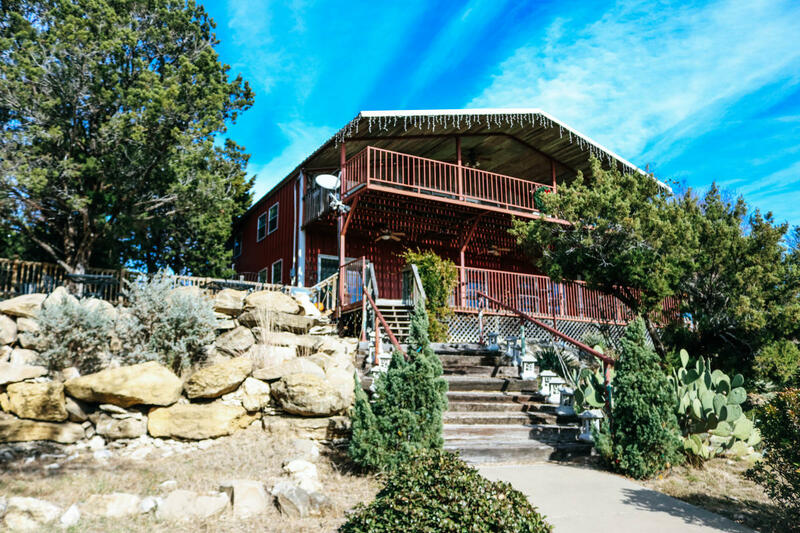 A beautiful, outdoor option for your next event, family reunion, or wedding, Bluff Dale Vineyards can accommodate parties from 2 to 40 guests. 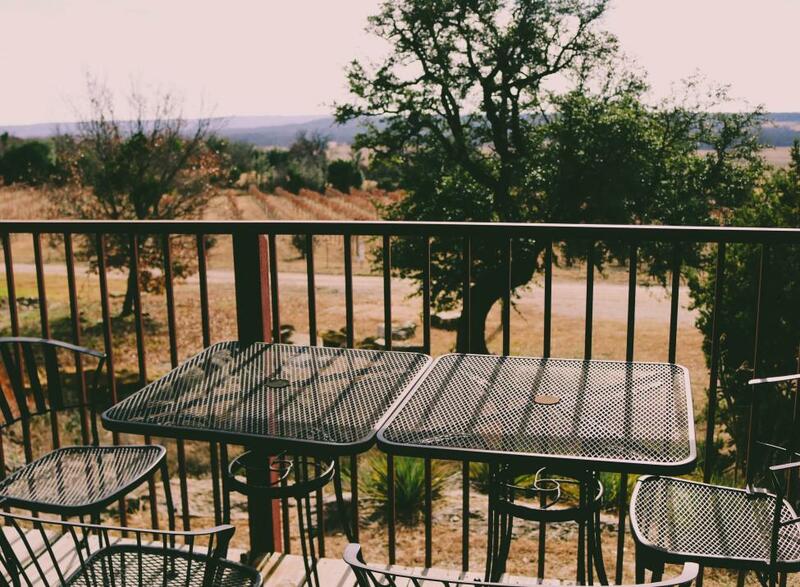 Vineyard visitors are welcome to bring along a picnic for lunch inside or outside. 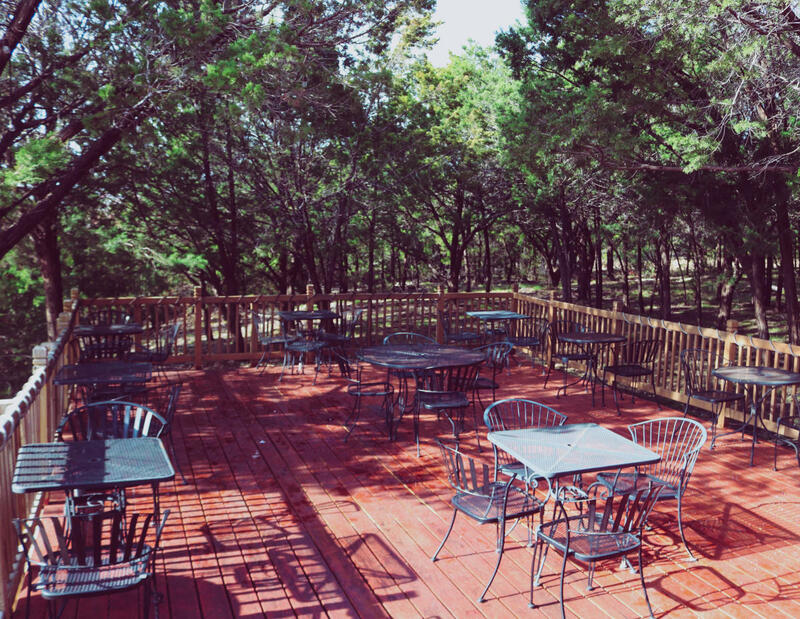 Light snacks are also available. 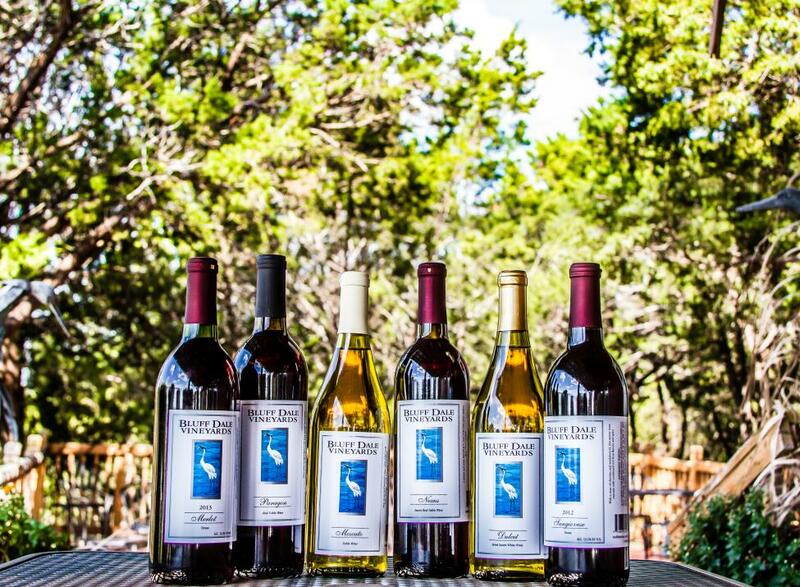 We offer an array of local varietals to satisfy any palate from red, white, dry, semi-sweet to sweet. 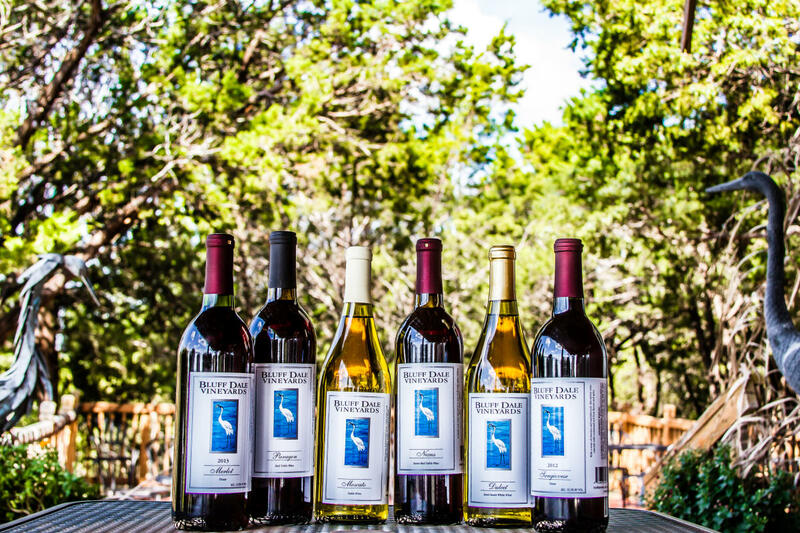 Enjoy wine with your group and feel free to explore our 15-acre vineyard complete with scenic country views.